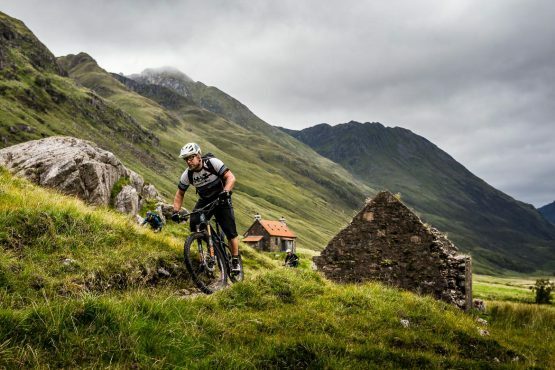 Ever wanted to discover the best of Scotland and ride your bike at the same time? 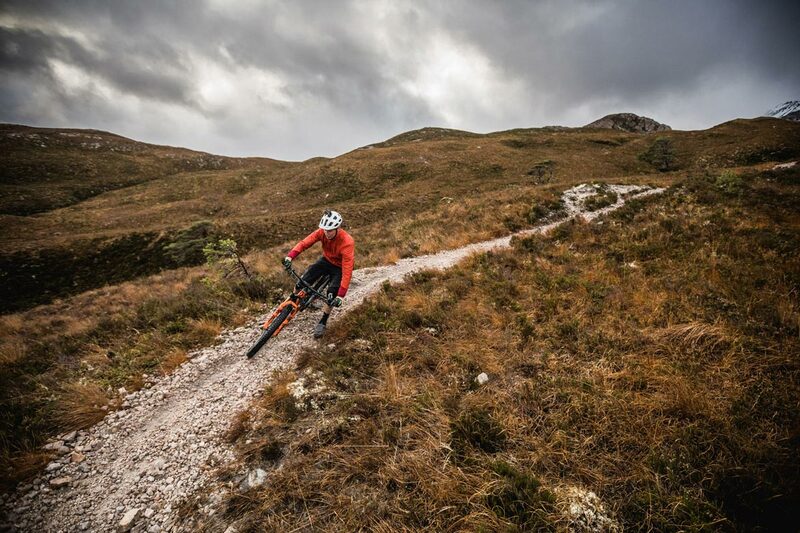 Here’s your opportunity to do just that…Let Scotty take you on a journey around Scotland to his favourite trails. 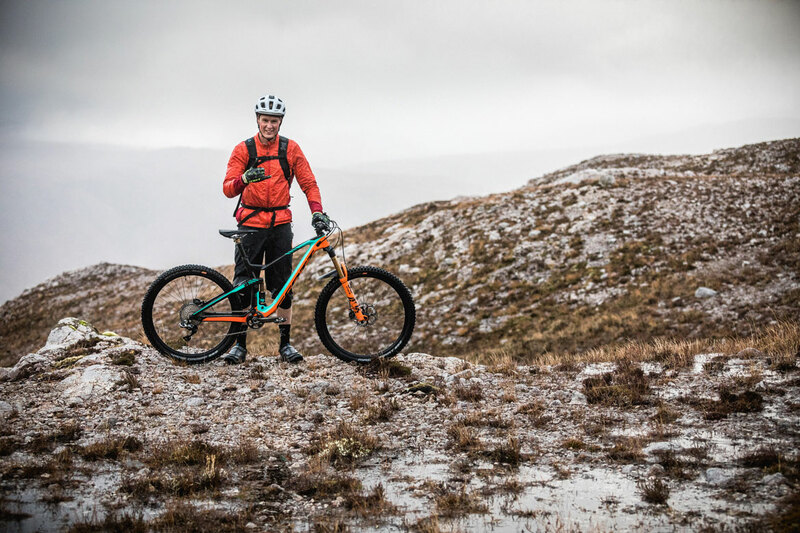 Joining the Ride with Scotty will be H+I’s own expert guide, Chris Gibbs aka ‘The Bear.’ You’ll need to be ready for big days in the saddle and have the ability to negotiate technical trails as you pass through some of Scotland’s best hidden gems in the Highlands. As we worked with Scotty to craft this perfect adventure we had our very own photographer, Ross Bell, along for the ride and you can scroll through the photo gallery above. You can also read the photo story of one of our recce rides with Scotty and Greg Williamson. 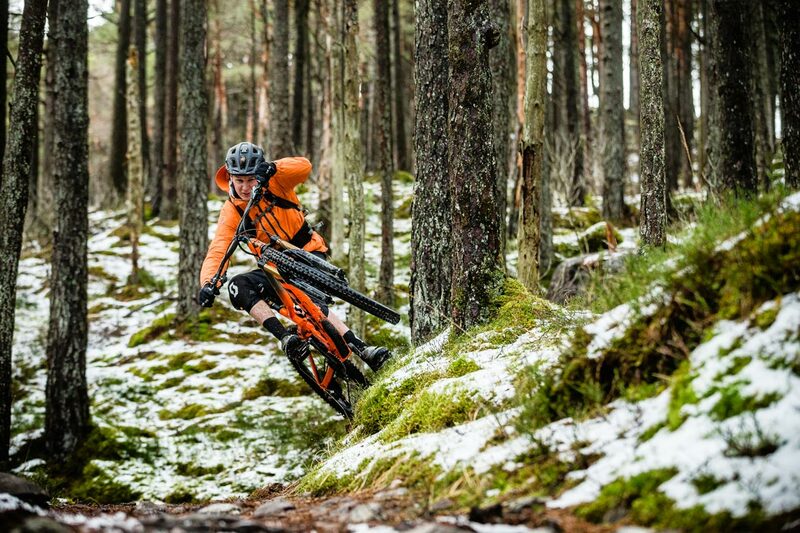 We’ll start out in the Borders, famous for hosting the EWS with steep, tight and rooty trails hand cut through the trees. After, we’ll start heading North and into the Highlands, where you’ll be blown away by the constant changing landscape (don’t worry, there will be time for photos) and the further we go, the more remote it becomes. The escape from civilisation becomes real as the trails pass through rocky and rugged terrain. Ever wondered what it’s like to Vlog? This is your opportunity to get involved! Scotty will be documenting the whole journey and you can shoot with him, shoot for him, and get yourself in there. 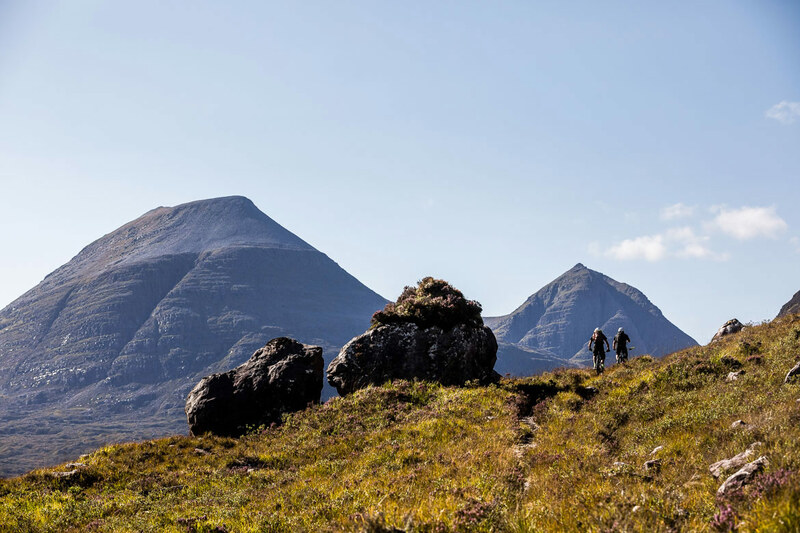 It’ll be just one of many ways to remember your week in the highlands. All transport, accommodation (bed + breakfast), guiding, professional photography and some bonuses are included. 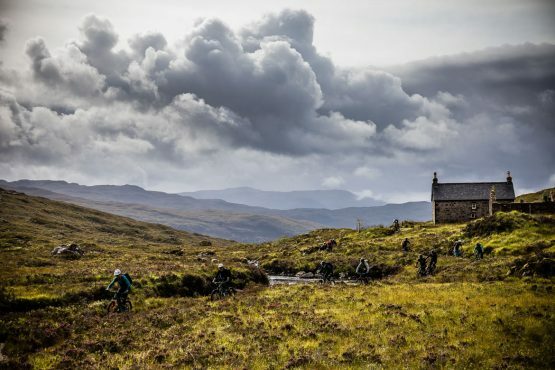 You can bet there will be stops for traditional Scottish delicacies along the way! With the best guides, trails, food and weather (ok, maybe not the weather!) no expense will be spared in the planning and execution of this event. Along the way we’ll track down some of the sickest Scottish singletrack and will pepper the week with a host of bonus experiences and ‘treats’ to make this a truly unforgettable adventure. Starting from Edinburgh airport we’ll gather the group at 10am on the first morning, pack up the van, and after making some friendly introductions we’ll head south to the Tweed Valley. A hearty lunch will accompany Scotty’s official welcome and the trip briefing from our expert guide. After lunch we’ll get down to the business of building and tuning bikes to make sure that your steeds are mechanically perfect before we head out onto the trail. The days in Scotland are long this time of year so we’ll have plenty of time to get out before dinner, get the legs spinning and blast out some laps of the trails at Innerleithen. 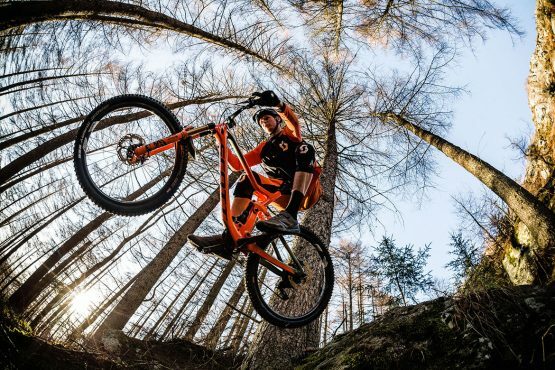 A first ride that’s sure to get you switched on and get the blood flowing, fast! 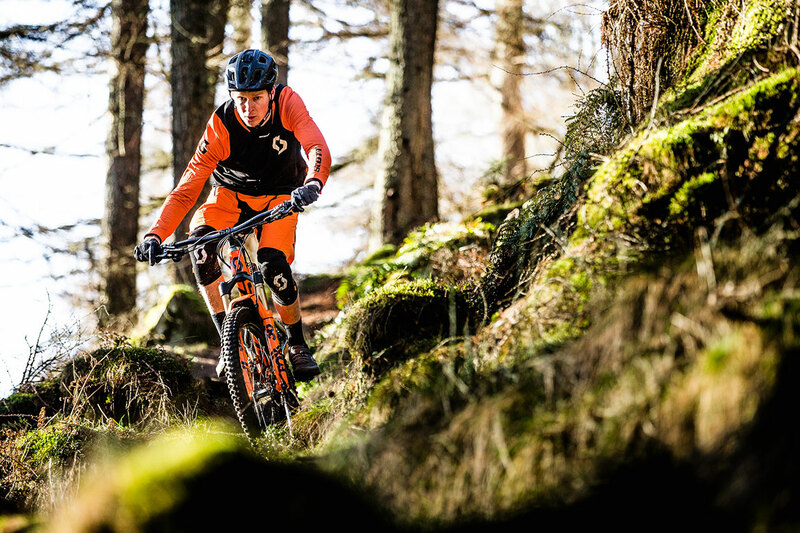 From the Tweed Valley we’ll head for Dunkeld, famous for steep technical trails. This is Scotty’s home from home. We’ll arrive, grab a coffee from the Aran Bakery (as seen on Instagram) and then head to Flotec Suspension, learn about suspension and bike setup from Taj, a suspension technician for Fox on the Downhill World Cup circuit. 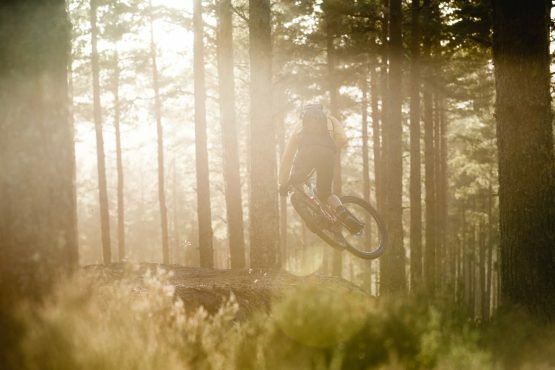 After everyone’s bike is dialled, we’ll hit the trails. Scotty has picked this route to sample a variety of steep ‘off-piste’ trails that you wouldn’t find on your own. Suspension still in need of some attention? There’s an overnight express service available to make sure you have your bike running the best it can be for a week of non-stop riding. Now we’re in the Highlands. Seen Skyfall where James Bond drives an Aston Martin? Well imagine what the trails are like…Yip, tough, rocky, steep, and after a few days on soft loamy dirt it gets a little gnarlier here as we’re faced by the bigger, more rugged mountains Scotland is really famous for. Don’t worry though, we’ll be tailoring the ride to suit and thankfully there are a lot of options to keep everyone stoked! This is the first of your two biggest days and it can be legitimately described as epic. 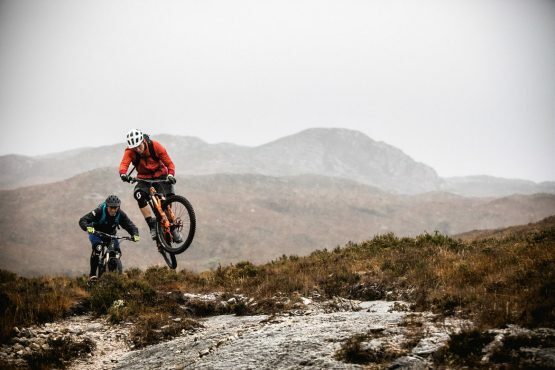 To kick off, we’ll start with a challenging climb, but what goes up must come down, and it will lead to some sweet singletrack that will take you deep into the wilderness, embark on a hike-a-bike, and end the day with a 9km singletrack descent! 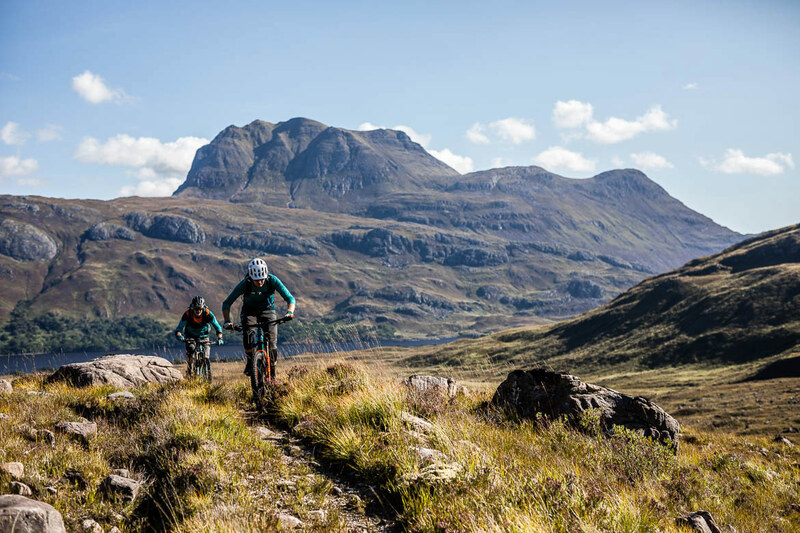 After a couple of big days on the bike we’ll head over to the Isle of Skye for a ‘slightly’ more relaxing ride at Sligachan. This is an out-and-back route through the Cuillin mountains. We’ll finish the ride at the Sligachan bar for a quick dram before we head back over the Skye Bridge. 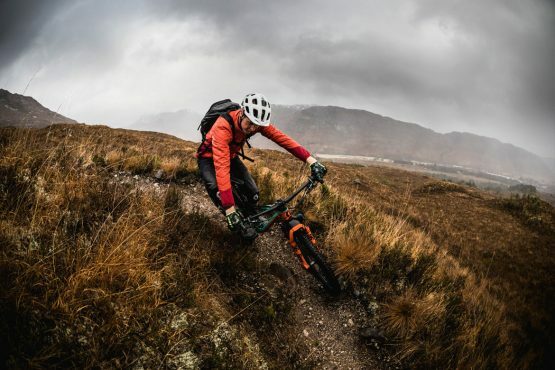 Today we’ll be joined by Ross Bell, a professional MTB photographer where you’ll have plenty of opportunities to get a range of shots amongst some of the oldest rock formations in the world and pick his brains on how to nail the shot. Our last day will see us heading towards the Queen’s Highland estate in Deeside. Things will be a little tamer, but not by much, so expect a summary of everything you’ve ridden in the last 6 days all crammed into one. We can guarantee technical climbs and long flowy downs, and it’s the perfect ender as our last pedal strokes will be shared as we pass her majesty’s residence. 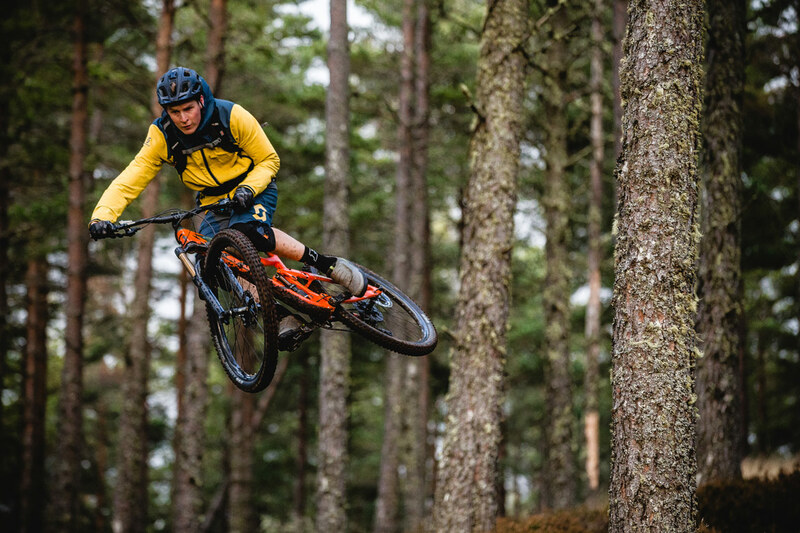 Please note: Your Ride with Scotty is a living thing, being influenced by multiple factors such as changing weather conditions, group riding abilities, trail damage, to name a few. 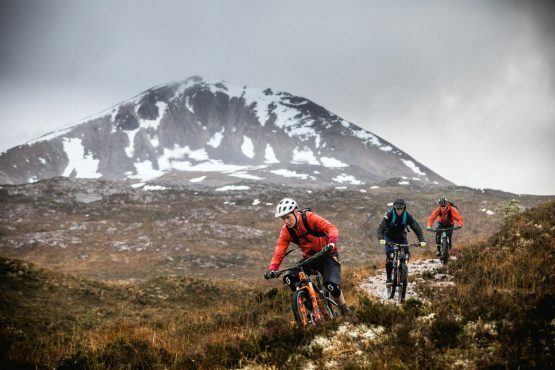 Your local guide is an expert in guiding mountain bikers in Scotland and will be continually assessing these factors and making tweaks to the itinerary where necessary to ensure that every member of the group has the best possible experience on our tour. Does this sound like you? Your vacation time is precious and we want to be absolutely sure that you’re making the most of it, by finding the perfect mountain bike tour for you. Be honest with yourself, if this adventure isn’t right for you, we have other mountain bike tours that may well be a better fit for your mountain biking experience and ability. You were born on a bike! 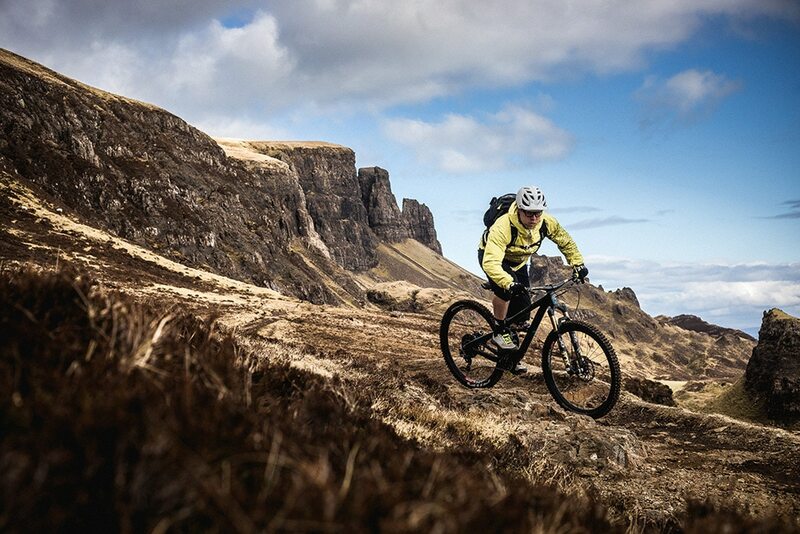 Your Ride with Scotty in Scotland will start and end at Edinburgh. Scotty and your guide will meet you at Edinburgh Airport at 10:00 on the first day of your tour (exact details will be provided two weeks prior to departure). If you are flying to Scotland we advise that you arrive the day before and book an overnight stay in Edinburgh, in order to allow for any delays in flights and/or luggage. On your departure day we will return you to Edinburgh Airport for 14:00, at the latest. If you have an earlier connection please let us know and we can discuss it with you. Edinburgh is well connected to the rest of the UK by good rail, air, and coach links. You must book your bike on to your flight in advance, otherwise you could face a heavy charge at the airport. Here are some tips and video on how to pack your bike for travel. Visitors from certain countries require a visa to holiday in the UK. Please check the UK Government website before booking to see if you will need a visa for your Ride with Scotty tour in Scotland. Please read our full kit list before you start packing for your trip, so that you have everything you need! One of the trail obstacles you’ll encounter often along the way, which some people may not be used to, is water bars. To overcome water bars without incurring pinch punctures, you need to be proficient at the front + rear wheel lift (bunny-hop), so get practising! The ideal bike for the ride with Scotty is a good quality full-suspension mountain bike with around 150mm of travel front and rear. 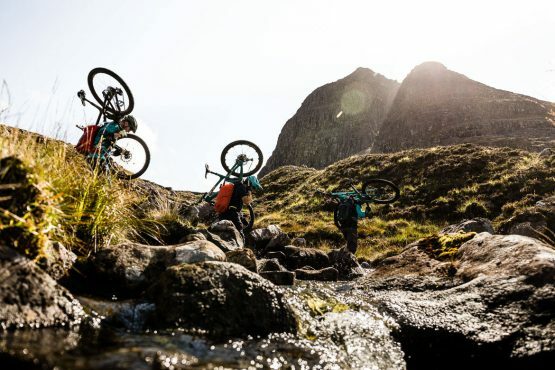 To get the most out of your mountain bike you should plan some training in advance of your tour, and it is essential that, if you’re bringing your own bike, you ensure that it has been properly serviced before the trip. If you would prefer, we can arrange bike hire for you, and have the bike ready for your arrival. One of the things that set our tours apart from other mountain bike tours in Scotland is the excellent accommodation we use. We understand that when you’ve had a big day in the Great Outdoors, you want a warm welcome, hot shower and a comfortable place to relax and unwind – because that’s exactly what we’re looking for too. This is why we only work with accommodation providers across Scotland whose standards of service match our own high expectations. Food is a major part of our mountain bike ride with Scotty, and we’ve worked hard (it’s been very tough!) to find the best local restaurants, cafes and pubs that produce the most delicious home-cooked meals using fresh, locally sourced produce. It is not compulsory to tip your guides or drivers in Scotland, but if you feel that you have had a good service or experience on your Ride with Scotty, you can tip at your discretion. You are required as a condition of booking to be insured against medical and personal accident risks. In this policy you must include cover for mountain biking and we recommend that you take out a policy which covers cancellation and baggage. 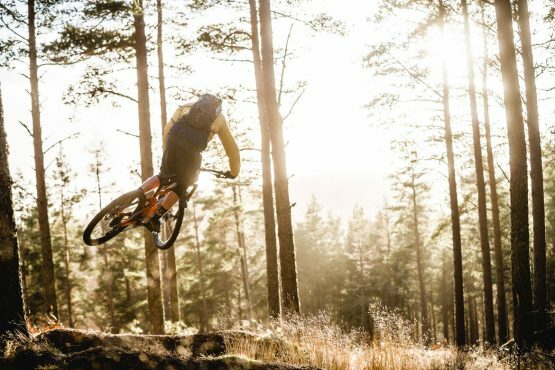 We work closely with WorldNomads whose policies are specially designed for mountain bike holidays. You can arrange your insurance cover directly with them and we ask that you send us your policy details. Please note: if you have arranged your own holiday insurance, you must bring a copy of your policy with you on your ride with Scotty. We’ve capped it at eight guests to ensure we’re responsible in Scotland’s landscape, and to maximise your one-on-one time with Scotty. We welcome anyone over the age of 18! Be prepared though, it’ll be full days in the saddle, riding in remote locations and across challenging terrain in all weather conditions! 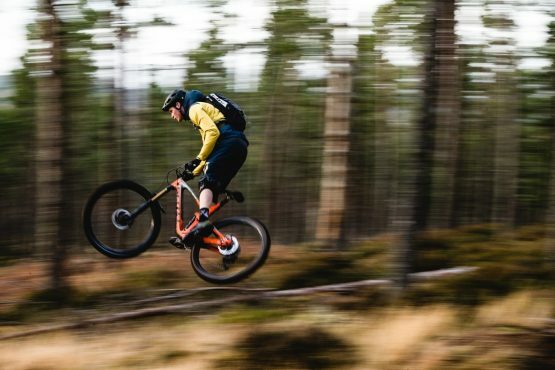 As long as you have a good level of physical fitness and excellent bike handling skills, you’ll enjoy this mountain bike tour no matter what your age. One where you’ll be riding every day, constantly on the move and taking in some of the world’s most beautiful landscapes. 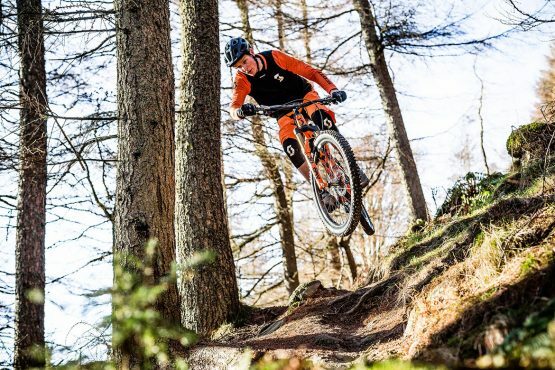 Please be prepared to ride every day and know that Scotty’s favourite trails are some of the most technically challenging in the UK. The distances we’ll covering each day range from 25km to 55km. Each evening Scotty and ‘The Bear’ will chat you through the following day’s ride to give you an idea of what you can look forward to. No, you only need to carry a 20 litre day pack whilst riding with what you need for a full day in the saddle. We have a support vehicle and driver who will transfer your luggage to your next B&B each day, and have it ready and waiting in your room when you arrive. Scotty and Chris will be very happy to give you tips to help improve your confidence and enjoyment. If there is a section that you would prefer not to ride, then you can simply hop off your bike and walk. 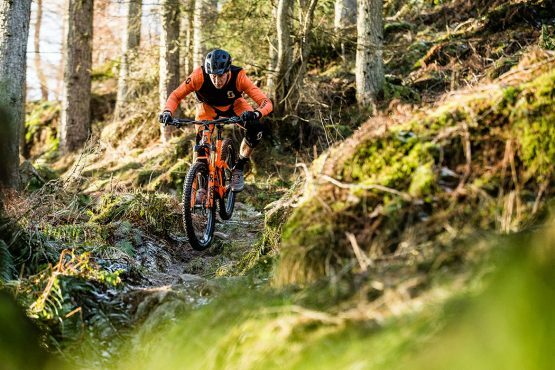 You won’t be the only one to walk certain sections and it’s not a competition in biking ability; it’s a mountain bike holiday! You will be staying in 3 and 4-star B&Bs, guest houses and small hotels. We always use the most comfortable local accommodation in each area. All breakfasts are included in the price of the tour, and you’ll enjoy fantastic breakfasts at each accommodation which will set you up well for each day in the saddle. Lunch and dinner are not included in the trip price. Each morning we’ll stop to pick up lunch provisions to carry with us on the trail. Allow yourself around £25-£35 per day for lunches and dinners. We can cater for most dietary requirements, just please let us know in advance. 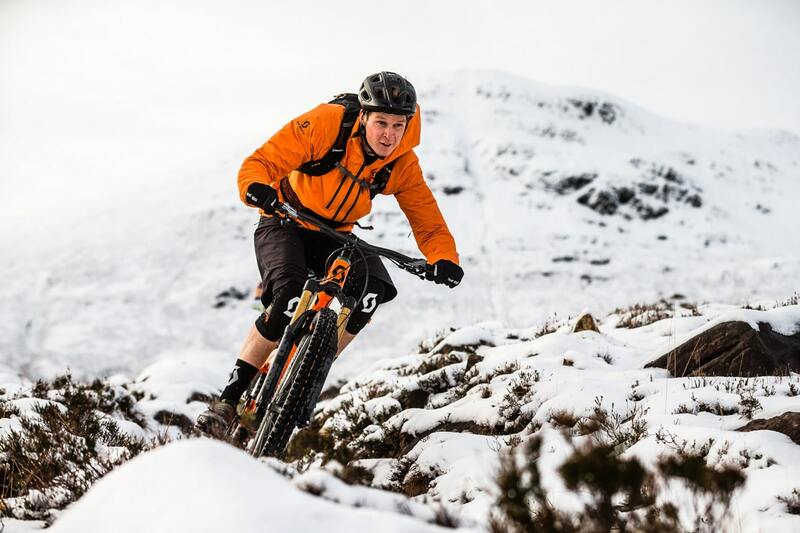 A full suspension mountain bike with around 150mm travel front and rear would be ideal. The terrain you will be riding is rough in places and you will feel more comfortable on a full suspension bike for the duration of the trip. 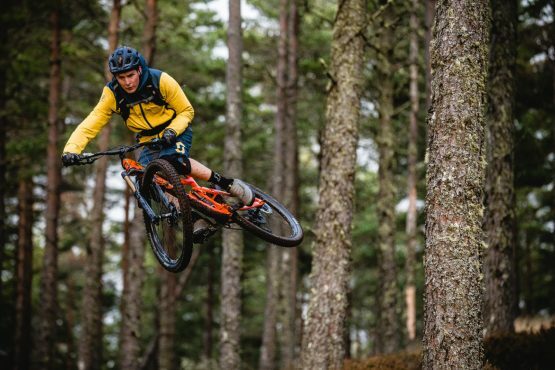 We can arrange bike hire for you and we have a limited number of fantastic Yeti SB130s available on a first-come, first-served basis. 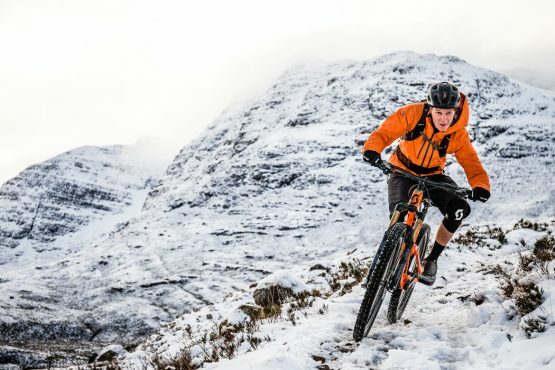 The weather in Scotland is changeable at any time of the year, so you must make sure that you have a waterproof jacket that you can ride in, and you should also bring plenty of layers of breathable clothing to ensure that you are always warm enough and can remove a layer if you get too hot. You should also bring cycling shorts/trousers, gloves, knee-pads, a warm jacket for the evenings, padded undershorts, and shoes specific for cycling. 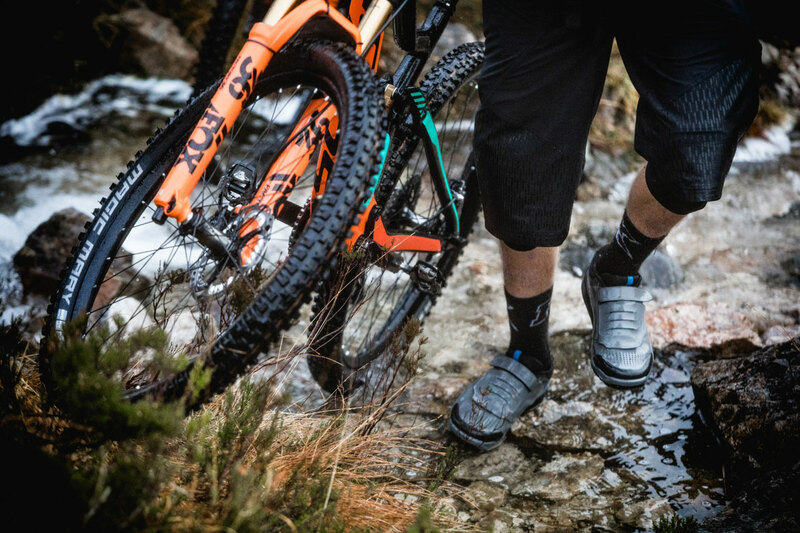 Read the full kit list to find out what you need to pack for your mountain bike tour with Scotty.